He has confirmed his gender identity and new name. 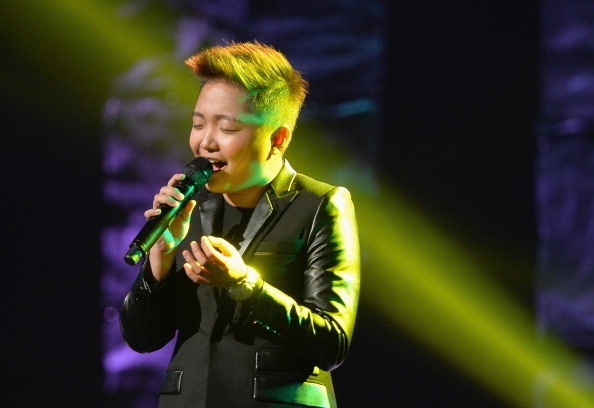 A Glee actor previously known as Charice Pempengco has officially come out as a trans man, revealing his name to be Jake Zyrus. You may remember Jake on Glee where he played a foreign exchange student named Sunshine Corazon. Jake played a singing rival to Rachel Berry and had a reoccurring role on the show's second season. Jake has changed all of his social media to reflect his true identity. His one post on Instagram reads "thank you" and he took to Twitter to thank fans for their support. This may be his world debut as Jake Zyrus, but nothing can change the fact that Oprah once called him one of the most talented people "in the world". It was also with Oprah that Jake first publicly revealed that he felt his "soul is male". Congratulations to Jake on his incredible journey! We're definitely looking forward to keeping up with all of his new adventures as his true self.